Well, out to the big city for a day with Amanda today. We’ve been meaning to do it for ages but somehow never get round to it. Today we made it. 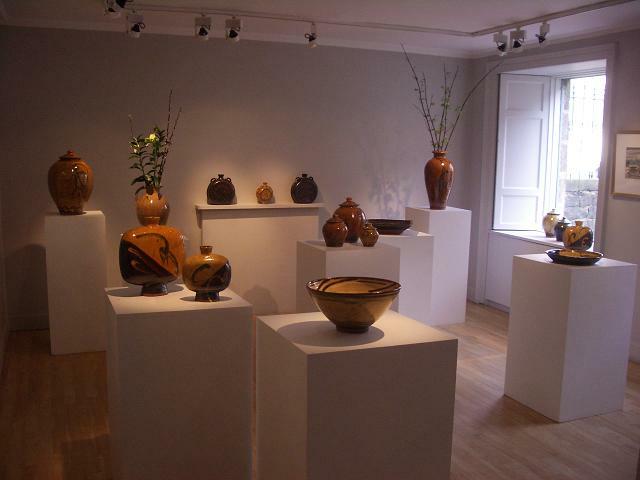 I’d heard about a show at The Scottish Gallery, a solo of Clive Bowen’s pots. Well that was well worth the trip. What a display. Beautiful. 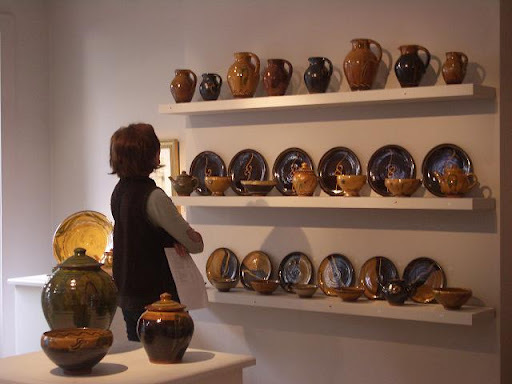 Fabulous pots, well displayed. It’s been a long time since I’ve seen what I might call good proper traditional pots given so much dedication, attention, space and focus. That little dark jug in the middle on the top shelf there possibly my favourite of all, I think you’d maybe say it was more of a potter’s pot than the others, very dark I assume for the black slip getting really hot and metallic, I loved it but I think I’ll get more use out of the bowl I bought than I would of the jug. Of course they deserve it entirely. From the street they look stunning through the window, all shiny and glossy and scrumptious. Inside they are cleanly displayed, they have enough space to let each piece shine and be seen and they are thoughtfully displayed. I know that to most galleries out there the craft is every bit as important as the art that they carry, however I’m sure most of the crafts people reading this will have come across one or two for whom this may not necessarily be true where it can feel that craft is a bit of an after thought. As I say not true of all by a long shot. This was though good for the soul. Beautiful pots, pots to bring home and fill with soup and enjoy and to make you smile and yes there were a good few that I would have liked to give a hug to and one or two that had I been in private I might well have licked. 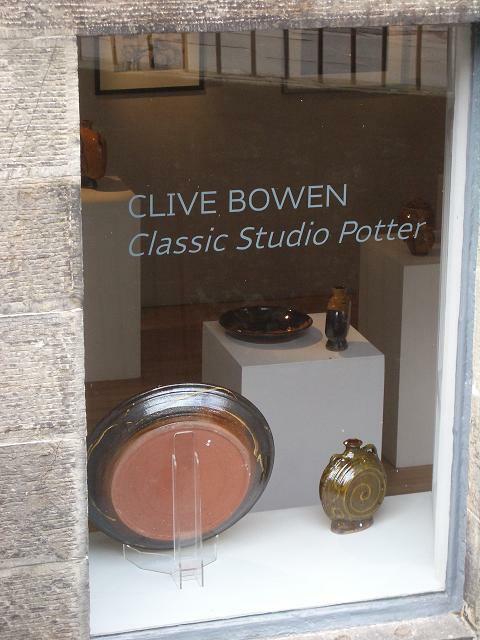 This entry was posted in Clive Bowen, Edinburgh, The Scottish Gallery. Bookmark the permalink. Love to see Clive's pots there. Oh, they are so good. Those bottles are quite nice. Thanks for the pics. So simple and elegant, just timeless and classic aren't they! 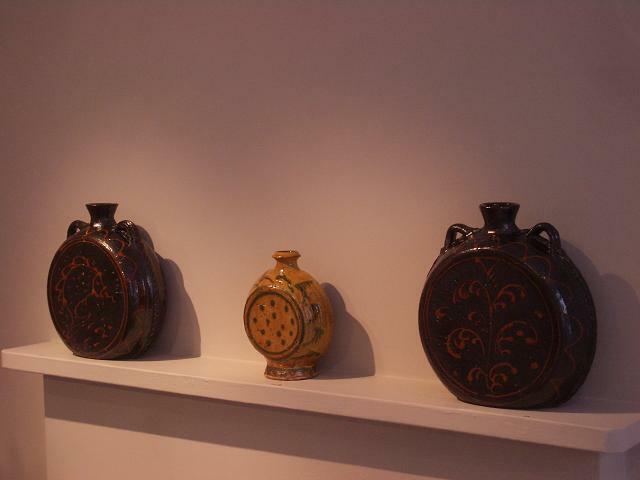 What a wonderful display of beautiful pots, thanks for the pics!! I was just chatting to Clive on the phone today, He's offered to show me around his place, we just can't seem to sort out a suitable date, But I'll get there soon. 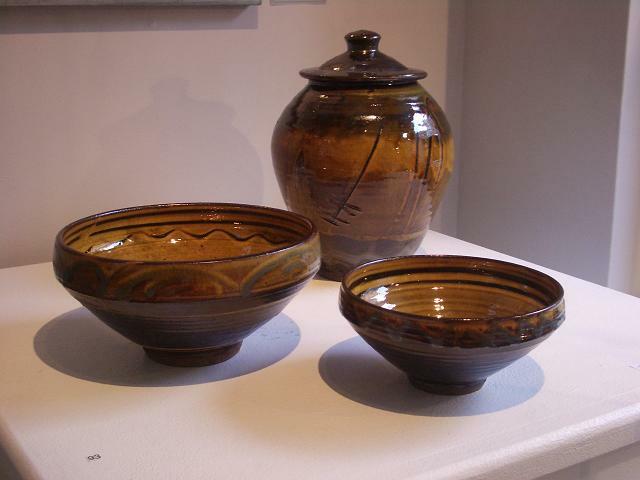 Clive's Pots are just so fantastic.Great pics.